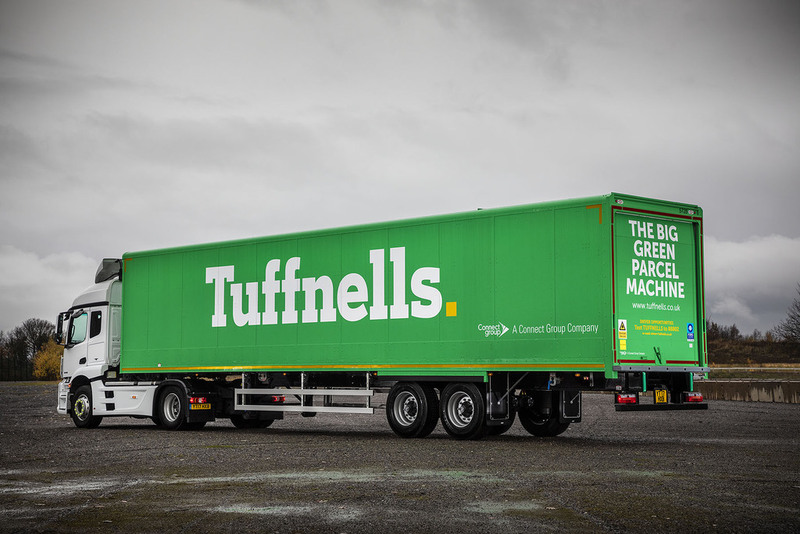 Forming part of a phased brand refresh, the new-look lorries feature the familiar Tuffnells name and colours coupled with new curtainsiders. 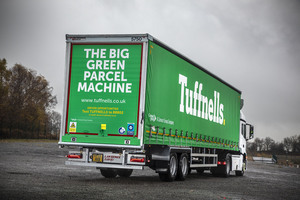 Additional features include specialist Don-Bur lightweight, long-life BLADE panels, an improved cargo control system which helps segregates the load, and Lawrence David’s specialist Trailer-Eye trackers which enhance Tuffnells’ ability to run the fleet by connecting to its existing fleet management system. New improved driver safety measures have also been added thanks to the trailers’ new curved couplings – exclusive to Lawrence David – which take away the need to climb on the vehicle catwalk when coupling the vehicles, and two extra LED work lights at the side of each trailer which increase rear illumination whilst reversing. 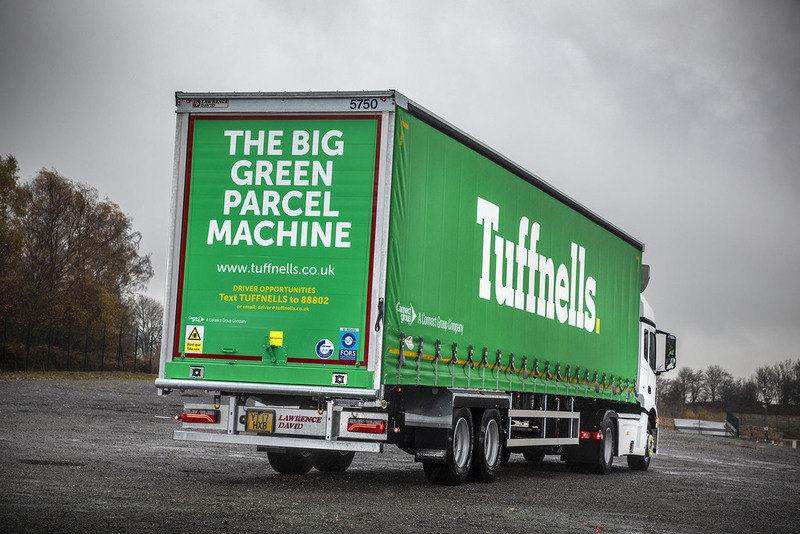 Peter Birks, Chief Executive Officer for Tuffnells, said of the partnership: “Lawrence David and Don-Bur have been loyal customers of ours for over ten years and are both fantastic companies, so when the time came for us to refresh our fleet of semi-trailers, we knew they were the perfect choice.